Recently, I wrote about the four major players in Renaissance astronomy, Copernicus, Brahe, Kepler, and Galileo, their discoveries, and how they impacted our perception of the universe. However, for all their brilliance, none of these four great men could explain why the universe behaved as it did. This task would fall to the final great thinker of Renaissance-era astronomy. Issac Newton, ironically born in the year Galileo died. As written about last time, Galileo dd a lot of pioneering work in early physics after the theological storm created by the Starry Messenger. In his experiments, Galileo worked with rolling balls on inclined planes and found that the distance traveled is always proportional to time, no matter the ball's weight or ramp's angle of descent. Also (and it's surprising that no one did this before), Galileo made the discovery that light and heavy objects fall at the same speed (Galileo would have been thrilled to see his experiment repeated on the Moon during Apollo 15). Another important finding: objects only stop when acted upon by an outside force. In France, a contemporary of Galileo, Rene Descartes, was also thinking about the way things moved. 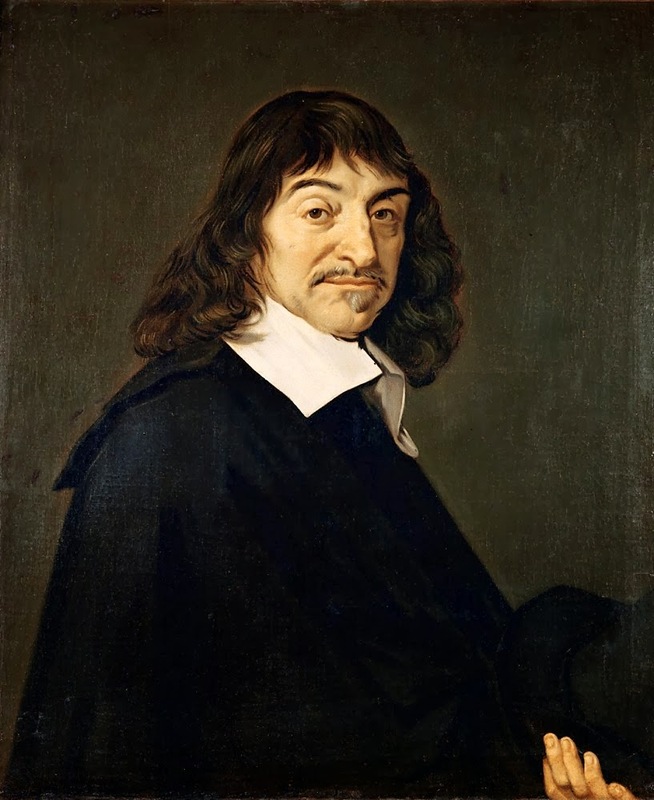 Thinking about the root causes of motion, Descartes believed that all motions were caused by invisible particles colliding with objects and thus, if there were no collisions, there was no motion. Now, while that idea may seem funny to us today, Descartes did get two of his fundamental ideas correct when he noted that all motion tends toward being in a straight line and, to get curved motion, some force must be acting on an object. Living after Galileo and Descartes, Englishman Robert Hooke further refined ideas of motion, who moved beyond motion on Earth into thoughts about motion in the heavens. Before Hooke, Kepler described the way planets moved. As for the 'why,' Kepler could not explain this, with his best idea being that the motion of the planets was caused by a combination of magnetism pulling them toward the Sun and some unknown force in the Sun pushing them out. In contrast, Hooke believed that there was some central force in the Sun that caused the planets to orbit it rather than fly off into space. Hooke also believed that this same force caused objects to fall on Earth and that the strength of this fore decreased as distance to the center of a body increased. In fact, Hooke had just unknowingly described gravity, but he could not give the specifics in mathematical terms. His task would fall to one of the greatest minds in history: Issac Newton. The story of Issac Newton is both a story of outright genius and pure luck. 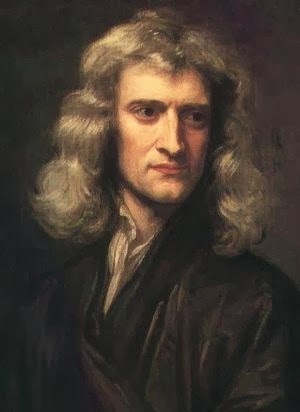 His intelligence recognized from an early age, Newton was sent to Cambridge University in order to get a college education, then in itself a rarity. In 1665, one of history's great ironies struck: the Plague arrived in London and Cambridge was shut down for the year, thus interrupting Newton's studies. Returning home, Newton allowed him mind to roam free. It was during this unplanned vacation that Newton invented calculus, discovered the laws of motion, and made fundamental discoveries in optics, all of which may have never happened had the Plague not struck and Newton had remained preoccupied with his formal studies. When Newton returned and got his degree, one of his impressed professors actually resigned so that the intellectually superior Newton could have the position. Inertia: objects at rest remain at rest and objects in motion remain in motion unless acted upon by an outside force. Also, the law of universal gravitation was shown for the first time. Now, unlike the story of Galileo on the Leaning Tower, the story of Newton and the apple is actually true, as Newton himself attested to its validity. As a thought experiment, Newton started thinking about objects falling to the ground after seeing the apple fall from the tree. In his mind, Newton thought about cannons, then state of the art. Cannonballs, no matter how powerful the cannon, always fall back to Earth. Now, in theory, could there be a cannon so powerful that it shot the ball so far that it would not fall back to Earth, but rather fall around the Earth? Employing his mathematical genius, Newton discovered that the answer was 'yes.' In thinking about apples and cannons, Newton just explained lunar motion. Now, if this example of gravity in action was applicable to the Moon and Earth, why not the Sun and planets? Again, doing the calculations, Newton found that his laws of motion perfectly explained the motion of the planets that Kepler so accurately described, but could not explain, decades ago. It was only now with Newton's laws of motion that the heliocentric solar system proposed by Aristarchus of Samos in the 200s B.C. and rediscovered by Copernicus was proven to be true. In conclusion, Newton would be the final word on physics for 300 years. Now, that is not to say that discoveries stopped with Newton. Rather, far to the contrary, advances in optics would allow for much to be learned and far more accurate measurements to be made. However, it was not until Einstein and modern technology that astronomy, now becoming the much bigger science of cosmology, would undergo a revision as grand as that created by the Renaissance.